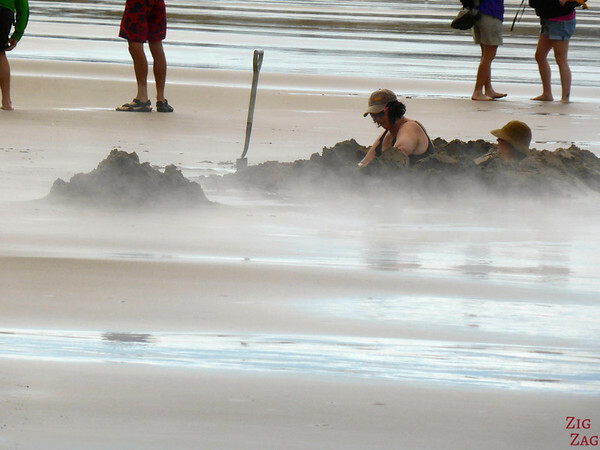 Hot Water Beach: if you dream of digging into sand and soaking, the is the destination for you. 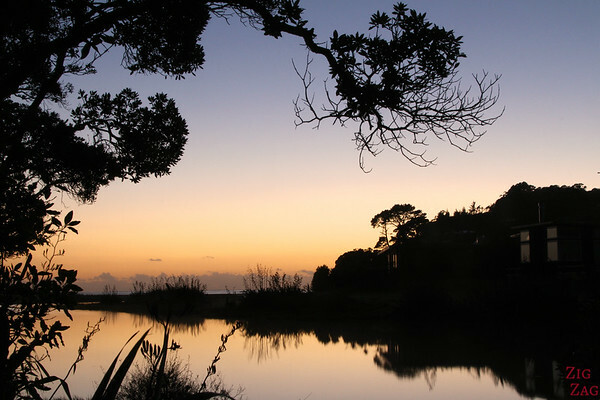 Located on the coast of the Coromandel peninsula, just wait for low tide and enjoy the experience! 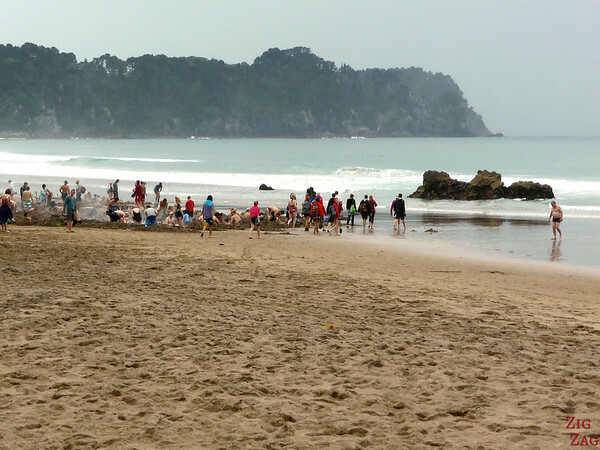 The Coromandel peninsula is just a short drive from Auckland. It offers subtropical native forest, pristine beaches and interesting ocean features. I could have stayed my 2 whole weeks discovering it. 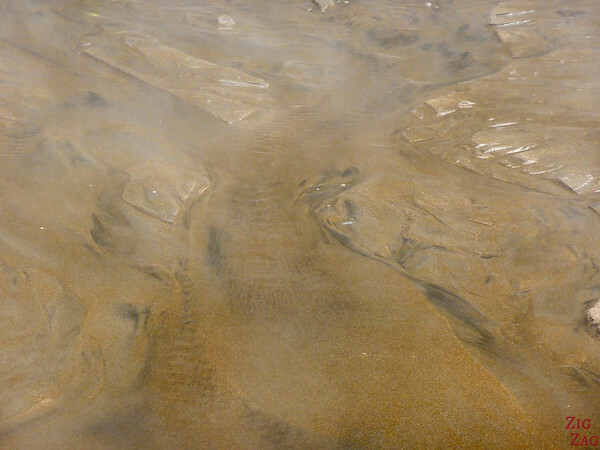 But with only one day my visit focused on 2 of its highlights, one of which was Hot Water Beach, a beach where burning water comes out of the sand. 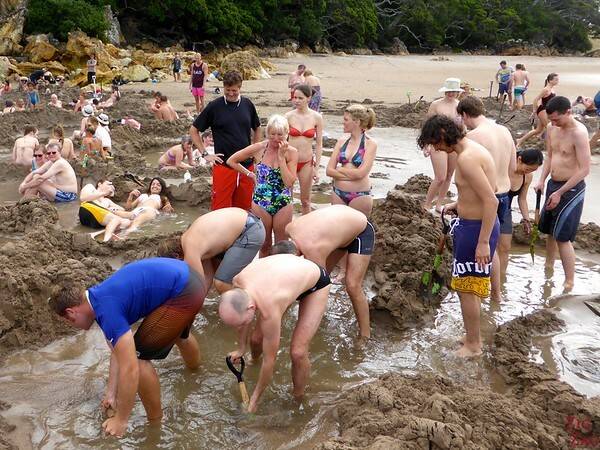 People dig pools to enjoy the warm water. 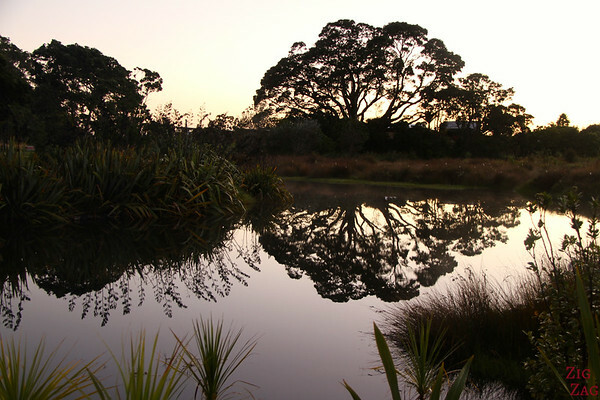 It is within 1h30 from Auckland, Hamilton, Rotorua and their international airports. 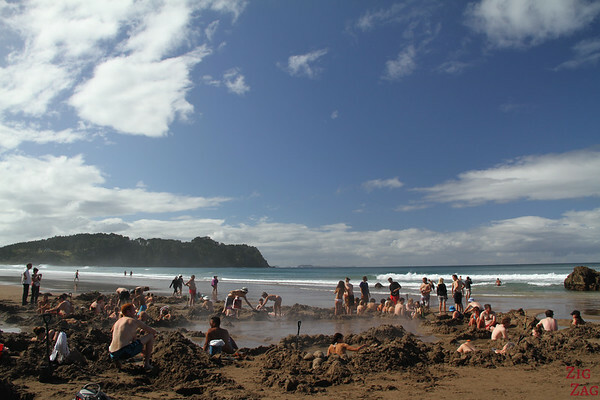 Located from State Highway 25 take the Hot Water Beach Road. Stay on the main road until you see the (right) turn to Hot Water Beach (~8 km). There is a 15 min walk from the camping site. If it rained be careful the path is slippery. But you have to deserve it. 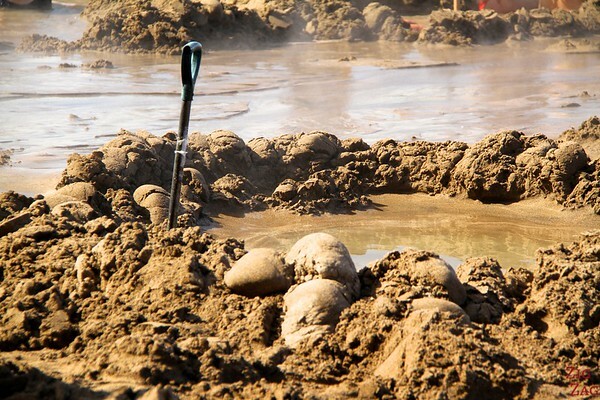 So first You have to dig, and dig and dig! We were lucky to have some men on the tour ready to take charge! Be careful it is really really hot! And at the end I laughed a lot. They were all enjoying the hot water when a big wave from the ocean arrived with cold water. They all jumped! The next morning I walk up early to enjoy sunrise over Hot water beach. The sun alignment was not good, but I still got two good shots on the path to the beach though! What do you think? Have you ever seen such a phenomenon?